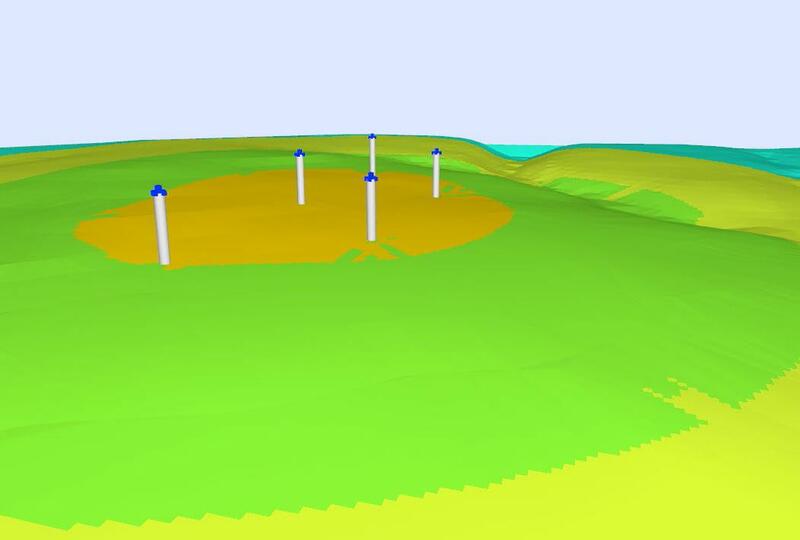 CadnaA is world-leading, state-of-the-art software for modeling, calculation and assessment of environmental noise. It can be used efficiently at any scale, starting with a few single receivers in a neighborhood up to noise mapping projects of entire countries. This works for various source types such as roads, railways, aircrafts or industrial noise. 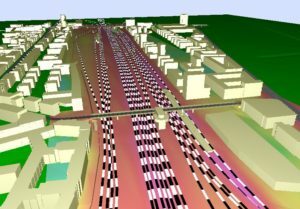 Whether your objective is to study the noise emission of an industrial plant, a new road or railway scheme or even of entire towns and urbanized areas: CadnaA is designed to handle it all. 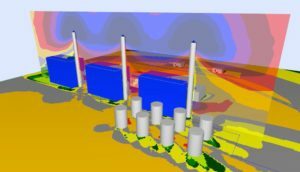 With more than 30 implemented standards and guidelines, powerful calculation algorithms, extensive tools for object handling, outstanding 3D visualization, and a very user-friendly interface, & CadnaA is the perfect software to handle national and international noise calculation and noise mapping projects of any size. 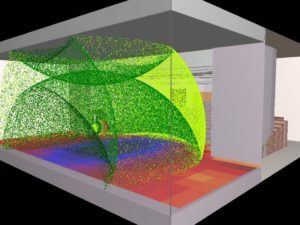 Due to its numerous features, CadnaA is the most powerful noise calculation and noise mapping software available. Every feature has been designed to ensure that projects can be handled in the most convenient and efficient way. The easy-to-use interface with self-explanatory symbols and a clear command structure always help to keep an overview even with these numbers of features and possibilities. CadnaA has a multi-lingual user interface and comes with comprehensive documentation. CadnaA is copy protected by a local USB dongle. A server dongle for network licenses is available as an option. CadnaA Standard – allows for calculation of noise from industrial, road and railway sources. This configuration comes with all calculation standards for these noise types. 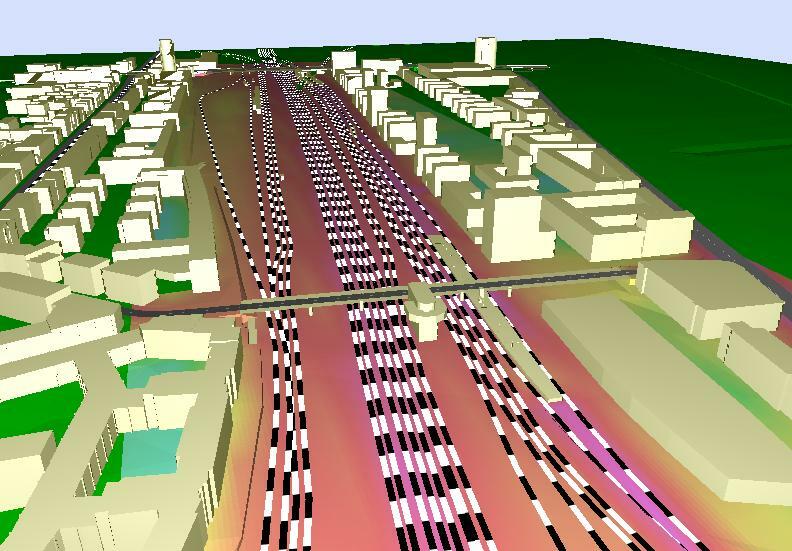 CadnaA Basic – allows for calculation of noise from industrial, road and railway sources. This configuration comes with one calculation standard of choice for each of the noise types. Additional standards may be subsequently added for additional cost. CadnaA Modular – this package is tailored for customers that don’t have the need to model all industrial, road and railway sources. With this configuration, for instance, customers can choose the Module Industry to model industrial noise sources only. Each noise type comes with one calculation standard of choice. More standards may be subsequently added for additional cost. CadnaA Modular Light – this package is similar to CadnaA Modular with the number of sources limited to 30 for roads, railway, area sources, and line sources each and up to 50 for point sources. Option BMP: Bitmap and other Interfaces – Import various bitmap formats. This option includes direct access to Google Earth (Import/Export) With option BMP bitmap-files can be imported in various formats to serve as background pictures. The most common application is importing scanned maps used as a template for entering sound sources, receiver points and other objects. Furthermore, digital or digitized photographs (orthophotos) in TIFF or JPEG format can be imported. Option BPL: Backtracking of Sound Power Levels – Option BPL is very useful in calibrating area sources of which the pressure level at distinct receiver points is known or has been measured, while the sound power level (SPL) or the SPL per unit area is unknown. Option BPL can even handle situations with several area sources and receiver points by applying a user-definable optimization strategy. Option SET: Sound Emission and Transmission – With the expert system Option SET sound power spectra can be automatically generated based on technical system parameters of a sound source (e.g. electric power in kW, volume flow in m3/h, rotations in 1/min etc.). Thus a unique system capable of modeling various kinds of sound sources is achieved. Option FLG: Radar Tracks – Use radar tracks (Fanomos, Stanly, Topsonic) for aircraft noise calculations. Group assignment is done via ICAO code. 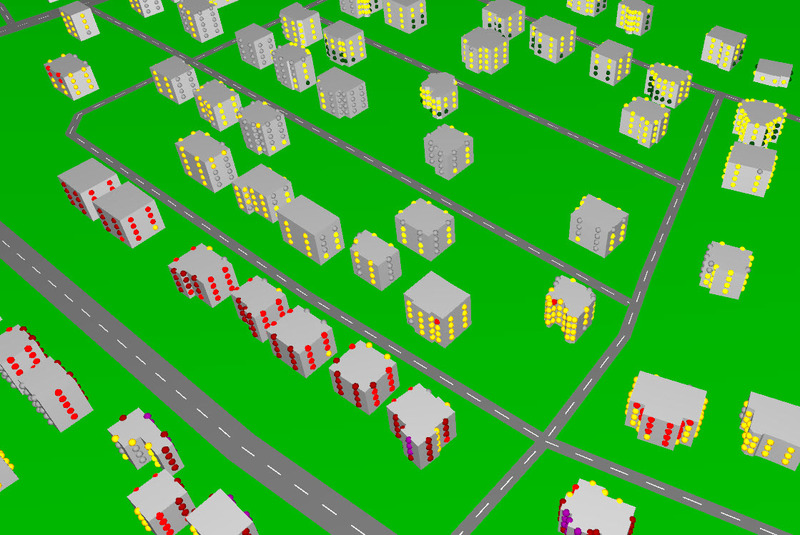 Option L: Large Scale Projects – Calculate with an unlimited number of screening objects. Option MITHRAAssure compatibility of calculation results with the French program MITHRA. Option 64bit: 64-bit Version – Use CadnaA (incl. all further extensions) with 64bit address length. Handle large projects with one single file. 64GB of RAM can be addressed; a 64bit operating system is required. 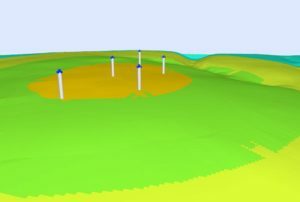 The following video presents a comprehensive description of CadnaA noise modeling software in 10 minutes. The fields of application of CadnaA range from industrial noise to traffic and aircraft noise. The following video demonstrates the powerful capabilities of CadnaA regarding calculation and assessment of Industrial Noise. Following video shows an introduction to CadnaA Option FLG (Aircraft Noise), now featuring INM (Integrated Noise Model) implementation.